You started your web hosting business with a cPanel & WHM based Reseller hosting account. You now have a lot of customers and your reseller hosting is not enough. You are planning to buy a VPS or Dedicated server with cPanel and WHM. You now want to transfer all the hosting accounts to your new server and shutdown reseller hosting account. How Would You Transfer All Your Accounts to Your New VPS? Option 1 and option 3 requires you to have the ability to connect via SSH in the server you want to transfer your accounts from. You are probably one lucky person if your reseller hosting account comes with SSH access. Unfortunately most of the hosting providers do not allow SSH access to their reseller account holders. 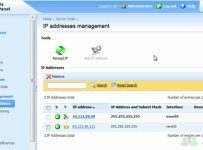 Please note that – this tutorial is focusing on transferring cPanel accounts from a reseller hosting account to VPS or Dedicated servers with cPanel. In this case you have only option 2 available for you. Click on the option “Copy an Account From Another Server With an Account Password” in the left menu of WHM under the “Transfer” tab. 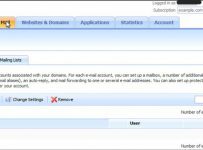 Provide the account details of the cPanel account you want to transfer to. The account will now be copied in the VPS ( or Dedicated server ). You now need to do the necessary Name server changes of the domain – so that it runs from the VPS. The above procedure is pretty straight forward. You need to do it for every cpanel account you want to transfer to. 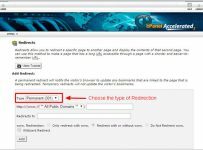 In this method you need to know the cPanel username and password of every cPanel account. You can get the username from the “List Account” option in WHM. It is possible that your customer might have changed his/her cPanel password. In that case – you may reset the password of that account, transfer the cPanel account and let your customer know the new password. But what if you don’t know the cPanel password and want to transfer the cPanel account without resetting the password? Yes you can do that too. In that case the single cPanel transfer mentioned above will not be applicable. You need to apply a trick in this situation. Go to “List Account” Option. Click on the cPanel icon next to the domain name to enter into the cPanel of that account. You are now in the cPanel of the account you want to transfer to. Now click on the link “Backup”. Now click on “Download or Generate a Full Website Backup”. Now click on “Generate Backup” button. Wait for some time for the backup to generate. The time required may vary on the size of the backup. Go back to cPanel home and Click on the “File Manager” button. If you click the above link and the download starts – you are done with the first part. You don’t need to download the file in real time. This will actually download the backup file from your shared server reseller account to your VPS in root directory. You need to login to your VPS WHM panel now and navigate to “Restore a Full Backup/cpmove File” under “Backup” tab in the left menu of WHM. Now – scroll to top and fill in the box where it says “Enter the username for the account you wish to restore:” with the username of the backup file. This is actually the cPanel username of the hosting account you have under your reseller hosting account. The above procedure is useful when Single cPanel account transfer (option 2) fails to transfer account.